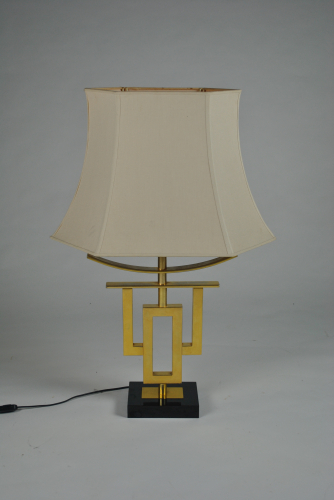 Chinese inspired gilt metal lamp with original shade. Lamp shade is 55 cm wide by 36 cm high. Lamp base is 14 cm by 10 cm.